There are various theories attempting to explain or justify Libertarianism. There are many important and influential thinkers in this movement, including people like Ayn Rand, Robert Nozick, David Friedman and of course Murray Rothbard. They have developed different schools of thought, each of which was more or less successful in making some converts. But besides these theoretical approaches, there are even libertarians who don’t have much of a theoretical background at all. They simply instinctively want to be left alone and hate the government. Clint Eastwood famously once said, “I am a libertarian. Everyone leaves everyone else alone”. This is obviously not much of a sophisticated theory, but I don’t see why one would need a degree in Libertarian studies to qualify as a libertarian. It is not the aim of this article to convince everyone that they have to engage in philosophy in order to be a libertarian. If philosophy does not interest you or you maybe even find it useless, then don’t bother with this article. It is written for people who do care about philosophy and very much want to understand Libertarianism theoretically. Personally, I am very interested in the philosophy of this movement. I do believe that on some level philosophy matters. Knowledge is power and therefore I believe that it needs at least some people in a movement who care about getting the philosophy right. There will be and there are philosophical critics of libertarianism who need to be answered if this movement is supposed to be taken seriously by thinkers. Ideas are important. Even people who pretend not to care about ideas are much more influenced by the work of philosophers than they might realise. A lot of beliefs that most people would consider common sense are really trickled down versions of complex philosophical arguments. To make sure that not the wrong ideas will end up becoming common sense, it is important to take part in the philosophical debate. Since philosophy is all about questioning things and making theories more precise, I am going to be pedantic in my arguments and I would encourage anyone to try to find mistakes in what I am arguing. That is the only way to get a better theory. Of course only if there is one objective truth for everyone. Personally, I am actually not totally convinced about that. But as in every debate, for the sake of the argument, let us assume it. What is the currently dominant libertarian philosophy? So far there seem to be two major approaches. Both are largely valid and are able to make converts. However, both of these approaches are a little bit in conflict with each other. Therefore, many libertarians interested in philosophy will ask people to take sides between the two. I believe that both approaches on their own are flawed and that therefore no one needs to take sides. What are these two approaches? The first one is an approach that is often described as consequentialist. A prominent libertarian advocate of consequentialism is David Friedman. Consequentialists argue that it is useless to deal with philosophy or morals, as these are very unclear and subjective. What matters are the outcomes of certain policies. As long as the outcomes are ok, the rest does not matter so much. People like David Friedman simply don’t seem to want to deal with philosophy and morals. They are uncomfortable with it. Because of that, they only deal with what they consider more objective, which in this case is economics. Personally, I don’t have a problem with people getting into libertarianism through economics. Economics seems to play a major role in exposing the state and it can make a lot of converts. I myself have learned a lot from economists when it comes to questioning the state. Labelling this approach as consequentialist however suggests that this follows a distinct philosophy. And here I am not so sure. To me it seems impossible to be a pure consequentialist. I would agree that results matter. However, how do we know which results are good results? It seems in order to evaluate results, one first will need an evaluation tool. This evaluation tool logically needs to come before the actual consequences and is therefore not consequentialist itself. If this is true, then consequentialism, as a stand alone philosophy, seems logically impossible. But how come intelligent people like David Friedman can think that they are consequentialists? Friedman clearly must have an evaluation tool. I think the reason for this is that his evaluation tool is completely tacit. To be fair to Friedman, he seems to be aware that such an evaluation tool exists. He simply thinks it does not matter, since people have very similar evaluation tools. It therefore does not seem fruitful to argue about these and simply focus on the consequences instead. However, I think Friedman is fundamentally wrong in neglecting the examination of the evaluation tool. It is always valuable to have a good theory of what is going on. Only a good theory will get you consistently good outcomes. Simply neglecting a big part of the picture as irrelevant, without at least an attempt to understand it, does not seem smart to me. So let us examine of what might be going on. First, let us have a look at the second approach which is the deontological one. These libertarians claim to be in opposition to consequentialism. They argue that Libertarianism needs to be based on sound libertarian principles. Once we have identified the right principles, all we have to do is to follow them and don’t care about the consequences. This approach seems to be at least in principle possible. One could certainly choose a set of principles and then follow them no matter what happens. But is this really a human approach? Let us suppose that following libertarian principals would lead to impoverishment and death on a massive scale, should Libertarians in that case just sit there and continue to preach libertarian principles? This seems absurd to me. Clearly people care about outcomes. That is why advocates of radical central panning have almost died out. The outcomes of these policies were simply too grim. They had to change their principles at least to some degree. Therefore, it seems to me that good principles are modeled according to good consequences. However, if that is true, we seem to run into a hen and egg problem. What came first the principles or the consequences. My conjecture is that because this looks like a hen and egg problem, a lot of people think that you need to choose sides. But here is what appears to me is going on. According to psychologist Daniel Kahneman, our thinking is divided into two different systems, system 1 and system 2. System 1 is automatic and not conscious. System 2 is conscious and active. It seems humans have a clear instinctive understanding in system 1 what outcomes they find attractive. However, since this understanding comes from system 1, it is completely tacit. They don’t know why exactly they favour these outcomes over others. Humans however also have a conscious level of understanding, which happens in system 2. This is based on an active modelling of reality. We analyse which outcomes we like and we then try to come up with a theory that explains why we like these outcomes. Coming up with such a theory has two big advantages. Firstly, it allows us to behave in a way to reliably produce the good outcomes and avoid the bad ones. Secondly, an explicit theory of system 1 makes it possible to explain this system to others. We are only able to communicate theories that we know consciously. So we have three layers. We have system 1, system 2 and the actual observable outcomes. All these three layers are constantly giving each other feedback. System 1 is the first and dominant layer that determines which outcomes we like. The good outcomes then model system 2. At first we want to succeed in getting a correct system 2 model of system 1. If we don’t succeed then this will lead to observable clashes. Such a clash is when system 2 leads to outcomes that system 1 does not like. In this case there are two possible solutions. We can try to force system 1 to like the principled outcome of system 2. This is possible to some degree, but quite difficult, as system 1 is not as easily programmable as system 2. Generally our brain seems to work on the basis that it is easy to learn something, but difficult to unlearn. That makes sense, as we want knowledge to be robust and not fragile. System 1 is particularly robust. Once it has learned something, it is not so easy to get rid of it. That means ultimately system 1 is the stronger system and will win more often. In that case we have little choice but to revise our model in system 2 if we want to resolve the conflict. The ultimate goal is to synchronize these two systems and bring them into a consistent form. The attractiveness of this goal is that if we succeed, we have a theory that will help us to produce predictable attractive results. And predictability is always key in trying to control our environment. The latter is what makes humans so successful. It does not seem to be possible to come up with a general rule of when system 1 and when system 2 wins. This is very dependent on the individual personality of a person. People who we might call idealists, are people who are in love with system 2. They seemed to have a strong emotional attachment to it and are therefore very reluctant to change it. On the other hand we have people that we might call pragmatic. They are not too bothered with system 2 and are happy to take their orders from system 1. If this theory is correct, and of course it might not be, then it seems there is no systematic clash between consequentialist and deontological Libertarianism. Both go hand in hand. The best approach is probably a healthy mix between the two. Only relying on system 1 to evaluate outcomes can lead to unpredictability. This is simply the case because system 1 is tacit. Also, we cannot automatically assume that system 1 is operating on a consistent model. It might not, which increases the unpredictability. That explains why self proclaimed consequentialists seem to often flip flop between different positions without an apparent reason, as system 1 is tacit. This can quickly lead to arbitrary and unstable systems. Adding active principles through system 2 brings in a degree of predictability. However, if system 2 is not open to testing, in other words, if we are dealing with dogmatic idealists, it can lead to absurd outcomes, if the ideals are not perfect. So we seem to be well advised to constantly test system 1 and 2 and try to bring them into a synchronised attractive model. After this small detour into psychology, let us have a look at what explicit system 2 theory libertarians have come up with and if there are problems with it. If you ask most deontological libertarians today what libertarianism is, they will tell you that libertarianism is all about the non-aggression principle (NAP). Since the NAP has been around for some time now, there is a lot of confidence that this model is correct. A lot of big names within Libertarianism, most importantly of course Murray Rothbard subscribe to it. And the movement is growing, so the NAP seems suitable to make converts. In my own experience however, if you ask a lot of deontological Libertarians what got them into Libertarianism, they will often not say that the NAP simply is a very persuasive theory. Instead you will often hear the answer that they really have always been Libertarians, they just did not have a name for it. This phenomenon leads some people, like Doug Casey to believe that Libertarians are really a genetic mutation. Maybe they are, but maybe this could also be a sign that the NAP is less accurate and therefore persuasive than a lot of people think. It does however have a number of advantages. The fact that it resonates with liberty minded people, suggests that there must be some truth to the claim that following the NAP leads to libertarian results. Most importantly it does seem to expose the state as a major rights violator. 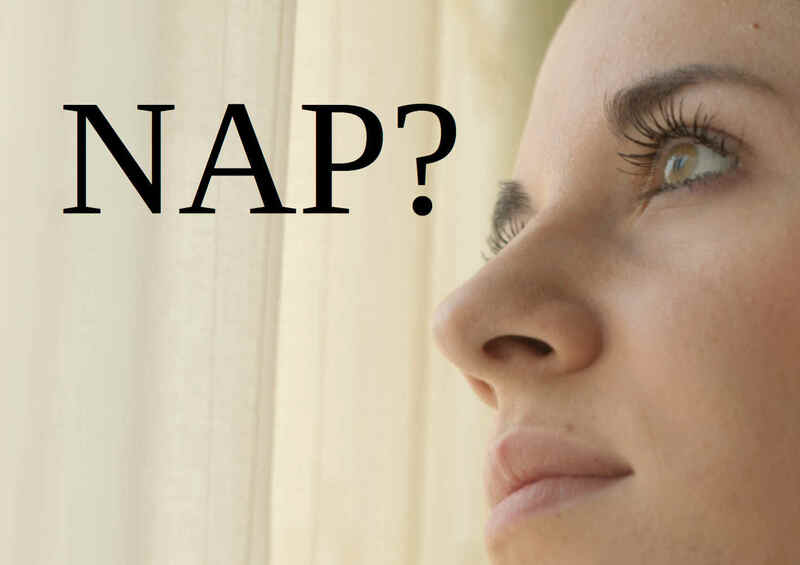 The NAP also seems to be very simple. You do not need a degree in anything to understand that the law should be that you do not violate other people’s private property and no one has the right to violate yours. This simplicity is a strong argument against governments. Most of what governments do is to make new laws. They will argue that the world is so complex that it needs professional lawmakers to constantly improve the law. With the NAP, Libertarians think they have a concept of law that seems to cover most legal problems within a society and yet it is so simple that it does not require a government to constantly change it. That is a strong argument as it attacks the very purpose of government. And it really does seem that the NAP is capable of solving most legal disputes. to shoot on a burglar. But although Libertarians claim to be against aggression, they don’t seem to be against shooting burglars. That is because the NAPers have come up with their very own definition of aggression. What they mean by it is the initial violation of someone’s private property rights. So if I react to someone’s violation of private property rights, then I am not an aggressor according to libertarians. That seems more clear, however even that is not sufficient to describe the libertarian position. There is an unlimited amount of possible property, even private property concepts. Which specific property concepts are libertarians referring to? Is it aggression if my slave runs away from me or if I beat up my own wife for disobedience? Both are not only theoretical property concepts, but concepts that have actually existed and to some degree still exist. And both could be considered private property concepts. That means in order for the NAP to make any sense, it is necessary to clarify what kind of property Libertarians are talking about. The NAP’s answer is that Libertarians are in favour of private property in the form of self ownership, owning the fruits of one’s labour and land that was homesteaded. The latter two somehow are suppose to logically follow from self ownership. How this logic exactly goes however is not very clear. It is also not very clear how we have arrived even at self ownership as being libertarian. But if we assume that these things are libertarian, then we at least now finally have a clearer picture of what is moral or legal under the NAP. Slave ownership and wife beatings clearly are not. However, in my experience a lot of Libertarians simply explain Libertarianism with non-aggression and assume that this is clear, when it is really not. For most people aggression simply means something different. So telling them that Libertarianism is about non-aggression often does not help to clarify matters. I am not saying that one cannot give words new meanings. This is happening all the time. But if the aim is to persuade people of one’s own philosophy then redefining words is a risky strategy. There is a high likelihood that it will lead to communication problems that make it harder for people to understand Libertarianism. If you want to explain something, it is usually good to be as clear as possible. But that is not easy since a lot of libertarians don’t even seem to be aware that they are using the word aggression in a non common way. Once you have spend some time in the movement, the libertarian usage of the word becomes so familiar that one easily forgets that this is actually not the common usage of it. And once that is forgotten, explaining it to critics becomes very difficult. How can you explain something that you do not understand? To these Libertarians, critics then quickly appear as evil as they are aggressors, when really they just don’t understand what is going on. Of course that is not true for all critics. Some really hate liberty, no matter how you explain it. But there are critics who are not lying when they say that libertarian philosophy does not make sense to them. However, even NAP libertarians seemed to not always be completely convinced about the accuracy of non-aggression. That is because even with all the explanations above, there still seem to be problems with it. If you read libertarian texts, you find interesting approaches to solving these philosophical problems. David Friedman, who as I mentioned does not advocate principled libertarianism, points to a number of problems with the NAP in his book “The Machinery of Freedom”. One problem that he sees with NON-aggression is that we seemed to violate other people’s property all the time, without Libertarians really objecting to it. For example, when I turn on a light on my property, the light beams can reach my neighbour’s property. This seems like an objective violation of someone’s property. That it is a violation becomes clear when you increase the intensity of the light up to the strength of a laser cannon. Libertarians would not object to someone switching the lights in their living room on, but would object to being shot at with a laser gun. Why is that? If the criteria is that you don’t violate someone’s property at all, then how can the attitude of a little light is ok, but a laser gun is not ok be explained with the NAP? I think Rothbard is really onto something. But the interesting thing is that it is not clear how he comes to this conclusion. Because this does not follow from the NAP, as Friedman rightly points out. Radio waves are objective intrusions of someone’s physical property. We can measure them. If we could not then we could not receive them on our TV, radio etc.. However, The prefix ‘non’ in non-aggression is absolute. It does not allow for any violations of someone’s legitimate property. So strictly following the NAP it seems we have to conclude that a property owner has the right to object to these waves. But Rothbard argues that these invasions are ok. On what theory does he base that conclusion? It cannot be the NAP, since logically this conclusion does not follow from it. In order to get to this conclusion, Rothbard clearly uses another theory different from the NAP. But this theory seems to be tacit. He is not aware of it and he cannot spell it out. The only explicit theory he has is the NAP. If my psychological theory from above is correct, then another way of putting it is that Rothbard has one theory in system 1 which is tacit and which he clearly uses here to make his argument. Then he has another theory, the NAP in system 2, which is his conscience model. Since both are not the same, we have a problem. We can either be consistent with the NAP and therefore conclude that radio waves are indeed not libertarian as they violate people’s property. Alternatively, we can accept that the NAP is flawed, since it does not give us the result we would like to see. In that case it would be interesting to find out if there is a better theory of Libertarianism. We know such theory must exist, since Rothbard clearly already uses it. We just need to bring it out of the dark and make it explicit. For a long time I could see these mistakes in the NAP, but I had no idea how to solve them. I just accepted that there probably is not a perfect theory out there. And why be pedantic about these things anyway? At least the NAP seemed to work most of the time. So if it ain’t broke, don’t fix it. But then I moved to London and came in contact with the philosophy of Jan Lester. He really has an interesting approach that might get us out of this theoretical mess. Lester argues that the problem with mainstream libertarianism is that it is not based on liberty. Wait, what? Libertarianism is not based on liberty? That claim confused me a lot when I first heart it. How did he come to this strange conclusion? Two important books of Rothbard are ‘For a New Liberty’ and ‘The Ethnics of Liberty’ and David Friedman’s main book is called ‘The Machinery of Freedom’. Clearly Liberty is what Libertarianism is all about. But after thinking about his arguments for a while I had to admit that he seemed to have a point. As I explained above, when you ask libertarians about their philosophy, they will talk about non-aggression, self ownership, private property and homesteading. What they don’t talk about however is what all these things have to do with liberty. What is for example the link between liberty and self ownership? Now you might say, we simply call all these things together liberty. The word is simply defined that way. So if you say that we cannot call that liberty, then you are really just arguing about word definitions, which seems useless. But not so fast. I am not talking about the word liberty. Libertarian minded people clearly have an understanding of what liberty is. A theory of liberty should model that understanding and make it explicit. But as we have seen in the radio waves example, that does not seem to happen with the current theories. Furthermore, most people have some concept of what liberty means. If they hear that you are a Libertarian they assume that you have an interest in liberty. But then they only hear you talk about self ownership, private property and non aggression. They never hear anyone explain to them, what is the connection of these things with at least some common understanding of liberty. And since they do not get such an explanation, they end up being confused. So what are common concepts of liberty? There seems to be essentially two general understandings of liberty. The first is Hobbes’ idea of being able to do whatever you like. Then secondly there is the concept of John Locke which is interpersonal liberty. Interpersonal liberty is the idea that people should be left alone by other people as much as possible. It seems that it is this Lockean interpersonal liberty that most Libertarians have in mind. “We have both been washed ashore on an island of frugal resources. I assume that nothing is yet owned, including ourselves. I then assume that liberty is to be observed (that is, not infringed). So there you have it. Self ownership really does seem to be libertarian. This is of course something that real libertarians always intuitively understood. But now we don’t have to rely on our intuition. And I claim that this is what most libertarians do. When I read Rothbard talking about self ownership, he simply made sense to me. I intuitively knew he was right. It was clear to me that there was a link between self ownership and liberty. I did not realise that this link is never actually spelled out. Rothbard himself did not seem to realise that he to some degree relied on his intuition about liberty. That might explain why mostly people, who say they have always been libertarians seemed to get it. Most other people end up confused, because they cannot rely on their intuition to fill in the gaps of the theory. But now we have a very explicit explanation that starts with liberty itself. And that might help explaining it to some people. In a similar way Lester then goes on to explain why other forms of property are libertarian. With this theory, we can now explain what is and what is not libertarian property. And as Lester shows in his book, it turns out that NAPers are mostly right on the types of property they support. But now we don’t just have to postulate that self ownership and other forms of private property are libertarian. We don’t have to say take it or leave it. We have a concept of liberty that is pre propertarian and we can explain how certain property concepts are a consequence of it. Even though it seems clear to Libertarians, but that property is maximizing liberty is not necessarily very intuitively clear to a lot of people. It is in the nature of property to exclude others. So how does excluding people maximize their liberty, they might ask. Starting with the Lockean concept of interpersonal liberty however, we can now explain that it really does maximize liberty in the scarce world we live in. We can also now solve the problems like the radio wave problem. Rothbard was right, radio waves are not a problem as they are not significant intrusions. They do not proactively interfere with people’s projects in life. But he was wrong to conclude that there is not really a property violation. It is just that those types of property violations need to be allowed if we want to observe liberty. And Liberty is what Libertarianism is really all about, not property. The first criticism that comes to mind from libertarians confronted with this approach is usually to say that this might be good philosophy, but for practical politics it is a disaster. You are opening Pandora’s Box. To say that Libertarianism is all about minimizing proactive constraints on people will open the door for all kinds of nasty interpretations. Before long you will have people claiming that taxing the rich to help the poor is a small constraint on the rich, but it would be a huge imposition on the poor not to tax them. Therefore, if Libertarians want to maximize liberty and minimize proactive impositions they need to support something like welfare. And there goes Libertarianism. Not violating people’s property on the other hand is very clear. So if we were to write a libertarian constitution, we should write in it that violating people’s property is not allowed instead of writing you are not suppose to proactively constrain people. I think there is some legitimacy in this argument. But it is slightly confused. To start with, saying that rich people impose any constraints on the poor is simply false. They are withholding a benefit, their wealth that is, which would not exist without them. Therefore these poor people have none of their life projects actively interfered with. So welfare simply does not follow from maximizing interpersonal liberty. Secondly, property is not that clear. I mentioned above that there are an unlimited amount of possible property concepts. In order to find out which one of these property concepts observe liberty, one needs to have a theory of liberty first. And this theory needs to be pre propertarian. Otherwise we would end up in a circular argument. And this is not just confusing non libertarians. Increasingly libertarians have confused themselves with this approach. For example, in his book “Democracy: The God That Failed” Hans Hermann Hoppe argues that Monarchies are closer to Libertarianism, because the Monarch is a private property owner. Sure enough, I can see why we might want to call a Monarch a private property owner, if private basically means owned by an individual. But to reason that because it is private property, it is therefore more libertarian is to abandon even an intuitive link to Lockean liberty. This type of property does not in the slightest observe liberty and has therefore about as much to do with Libertarianism as slave ownership, the latter also being a non libertarian private property concept. Because of these confusions we even have people like Lew Rockwell coming out and explicitly saying that Libertarianism is not about freedom and that property and freedom are somehow opposed to each other. That is why philosophy matters. At first it might look like pedantic nonsense to point to the fact that the NAP does not apply to radio waves. But if flaws in the theory are overlooked or actively ignored then that has consequences. And the consequences can be as big as Libertarianism suddenly being turned on its head. It suddenly is presumed to not be about liberty at all. The most important reason why the Pandora’s Box objection is a bit confused however is that it muddles together three things that should be separate. First there is a theory of what liberty is. This theory has nothing to do with morals or the law. It simply tries to accurately describe what liberty is. Once we know what liberty is we can in a second step ask the moral question, is it a good thing, do we want to have it? After all it is possible that people might agree with what liberty is, but then reject it as an undesirable thing. Once we know what liberty is and we have decided that we want it, we can then think about how to implement it practically into law. But this is only a third step after doing the first two. There are people like Walter Block who would object to this by claiming that Libertarianism is all about the law, it is a theory of law. But it should be clear now that that does not make much sense philosophically. If Libertarianism is a theory of law, then it is a theory of law to achieve what? This is similar to consequentialism. You need to have a goal first before you can think about how to achieve it. On the practical level of designing a libertarian law system it might very well be a good idea to implement a simplistic version of libertarianism in the form of just focusing on property rights. This simplistic version might be more stable than a more accurate but complicated system. I am not necessarily saying that it is, but it might be. That however is not the same as to say that we should not have a more accurate philosophical theory in the background. Even if we implement a trickled down version of it, how can we know that this simplistic version is a good compromise if we don’t have an accurate theory to measure it against? A good analogy might be Newton’s and Einstein’s physics. Newton’s physics is fundamentally wrong according to Einstein. However, the difference between the two theories only becomes relevant in a few practical applications where things start to move at a significantly high speed. That is why most people, for all practical purposes use Newton’s physics, a lot of them without ever even knowing the shortcomings. It would not be helpful to learn the much more complicated relativity theory of Einstein for most people. But that is not to say that it is a bad thing that we have Einstein’s theory. It is good that at least some people understand the shortcomings of Newton and there are applications in which these shortcomings become very relevant. There are clearly philosophical problems with mainstream libertarian philosophy. And I think we should at least try to solve them. Jan Lester in my view has done some great work on it. That is not to say that he is necessarily correct or I agree with everything he says. He is a critical rationalist, an epistemology that I have a lot of sympathy for, but cannot fully subscribe to. Being a critical rationalist however, he would be the first to admit that his theory might be false. The only way to find out is to test it and debate it. However, there seems to be some anxiety within libertarianism about doing that. Somehow some Libertarians seem to think that questioning things will weaken the movement. I do not think that this fear is well founded though. It does not look like we got Libertarianism completely wrong so far. Private property as most Libertarians understand it, is indeed very libertarian. That means it does not look like that at least most Libertarians got Libertarianism wrong in practice. The NAP, as Libertarians understand it, is indeed 90% libertarian. That is because the people who came up with these type of rules like Murray Rothbard did have a very good tacit understanding of what liberty is. This intuition seems to be shared by most Libertarians. But the explicit theory presented seems a bit muddled which creates confusions within the libertarian movement and also among critics who try to understand Libertarianism intellectually. That is why these things need to be addressed, at least by some people. Once again, work sharing is probably going to be the best practical approach to liberty. And liberty really is what Libertarianism is all about.